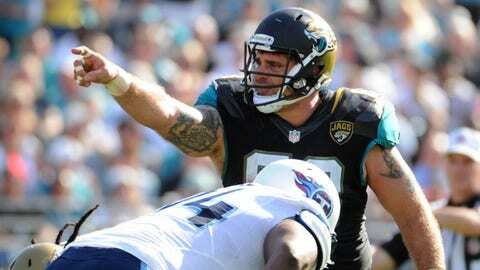 Center is a position of need for the Jaguars since Brad Meester retired at the end of the 2013 season. A front-office version of calling an audible might be required for the Jacksonville Jaguars to improve themselves dramatically through free agency. Indications pointed to the Jaguars targeting Pro Bowl center Alex Mack of the Cleveland Browns to fill the gap on the offensive line left by the retirement of Brad Meester. That was before Monday, when the Browns applied the seldom-used transition tag on Mack. If he plays next season under that tag, Mack would be guaranteed more than $10 million, the average salary of the NFL’s top 10 offensive linemen. Even with the Jaguars having around $50 million in available cap space, it’s hard to envision owner Shad Khan and general manager Dave Caldwell being so generous to a player at an important but low-profile position. The money that could be spent on Mack would be better used on multiple free agents for a team with several glaring needs. While this is hardly the year for the Jaguars to use this method to upgrade at quarterback, there are plenty of interior linemen, running backs, wide receivers and defensive ends available at a fraction of the cost. That was the approach Caldwell took in his first year on the job by signing linebacker Geno Hayes, cornerback Alan Ball and defensive tackles Sen’Derrick Marks and Roy Miller. All four became starters, although the additions of running back Justin Forsett and wide receiver Mohamed Massaquoi proved to be major disappointments. In his fourth year with the Minnesota Vikings, Gerhart averaged 7.9 yards per carry (36 carries) and scored two touchdowns. He was a second-round pick by the Vikings in 2010 after an outstanding college career at Stanford, but with Adrian Peterson around, consistent playing time has been hard to come by. Reason to sign: Gerhart will only be 27 later this month and doesn’t have much in the way of mileage on his legs. 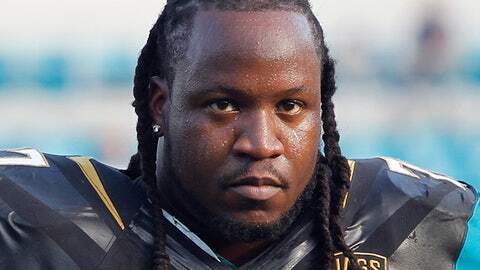 He would complement Jordan Todman as the Jaguars prepare for the likelihood of Maurice Jones-Drew’s departure. Plus, he seems to be a high character guy. A star for the New York Giants when they beat the New England Patriots to win Super Bowl XLVI, Nicks is coming off a 56-catch season where he averaged 16 yards a reception. As a frame of reference, Cecil Shorts III averaged only 11.8 yards on 66 catches for the Jaguars. But lower-leg injuries have reduced Nicks’ effectiveness, as shown by the fact that none of his receptions a year ago were for touchdowns. Reason to sign: Although it would come as a surprise if the Jaguars waited until after the third round to draft a wide receiver, they could use a veteran such as the 26-year-old Nicks as an insurance policy. Former first-round selection Justin Blackmon must straighten up off-the-field issues. The release of Uche Nwaneri, who started all 16 games last season at right guard, is a signal that the Jaguars will sign at least one player at this position. Adamoah, a third-round pick by Kansas City in 2010, should be able to step in right away despite losing his starting job to Geoff Schwartz down the stretch of the Chiefs’ playoff run. Reason to sign: The Jaguars averaged only 3.3 yards per rushing attempt, compared to 4.7 for the Chiefs. One man can’t make all the difference, but in the case of Adamoah, it’s a step in the right direction. One drawback: He appears to be a better pass protector than run blocker. Should the Jaguars not bring back Jason Babin, who turns 34 in May and is owed $6.1 million for the upcoming season, they’ll need a pass rusher who is younger and with a track record. Houston had six sacks in 2013, his fourth year with the Oakland Raiders. While the Raiders are one of the few teams with more money to spend than the Jaguars, Houston hasn’t drawn the transition or franchise tag from them. Reason to sign: Not only is Houston adept at pressuring quarterbacks, but he can stop the run. Don’t be surprised to see the Jaguars sign a center or an outside linebacker, but this is a team that would prefer to upgrade through the draft.